According to JPI’s report, Virginia has seen a 735 percent increase in the prison population since the 1970s. In 2012, the U.S. Department of Justice’s (DOJ) Bureau of Justice Statistics reported that Virginia had the nation’s 15th highest state imprisonment rate, with 451 per 100,000 state residents behind bars. This rate puts Virginia in the top 1/3 of the states with the highest prison population. A closer look at the Virginia numbers shows that changes in Virginia’s justice polices have contributed to an increase in the number of incarcerated individuals and this increase has had a disproportionate impact on the African-American communities. The evidenced disparities cut across the different categories of criminal justice offenses but are more pronounced among drug offenses. In Fairfax County for example, African Americans are arrested for drug possession at nearly three times the rate of their representation in their population. According to the census, African Americans make up 9.7 percent of the Fairfax County population yet they account for 28 percent of the individuals arrested for drug possession. Based on my professional judgment, the disparate impact that criminal policies have on the African-American community are also evident within the Latino community. But are they truly evident in Virginia? According to the 2012 census data, the Hispanic population in Virginia has increased in recent years with Hispanics comprising 8.4 percent of the population. This constitutes a 92% increase in the Hispanic population since 2000. Among the 34,125 individuals under state correctional control in 2012, only 2 percent were reported to be Hispanic which included only 14 Hispanic women (despite the fact that there are approximately 300,000 Hispanic women in the state). Now, as a Latina, I should be very happy with these numbers. However, my experience working on criminal justice issues elicits an opposite reaction – distrust. I don’t trust these numbers and I question its reliability. Criminal justice data collection systems at the city, county, state or national level tend to not collect both race and ethnicity data. In other words, data is not disaggregated by race and ethnicity. This is a data collection weakness in that the race of a Hispanic can be either White, Black, multi or other. Yet, data collected by police departments, jails and/or prisons, on average, are not disaggregated by race and ethnicity. This fact holds true in Virginia. As a result, the impact that policing, prison and criminal justice policies have on the Virginia Latino community are being masked by the lack of disaggregated date. The lack of accurate date impedes the ability to establish targeted and comprehensive prevention or reentry programs in the community. The lack of disaggregated Virginia data leads me to believe that the number of offenders reported by the State are inaccurate and suppressed as it applies to Hispanics. The idea that in 2014 we are still unable or unwilling to accurately capture the involvement of Virginia’s fastest growing community with the criminal justice system, a community that has been the target of various law enforcement approaches to “public safety,” is disheartening and has an extremely negative effect on the Hispanic community, the children and the families involved. Contact with the criminal justice system results in collateral consequences that can have a negative effect on a person’s ability to reintegrate into the community and become self-sufficient and contributing citizens. Even a nonviolent drug arrest like an arrest for possession can have a negative outcome on a person’s life. Virginia needs to improve its data collection methods to ensure an accurate assessment of the impact that the criminal justice, corrections and sentencing policies are having on the Latino community. During a time when the state is poised to spend a billion general fund dollars on corrections, we should be thinking of ways to reform the sentencing guideline requirements and reduce the number of incarcerated persons or the length of their sentence. Virginia should concentrate on expanding and/or strengthening prevention programs rather than expanding their correctional system. This is not a novel idea. In fact, this idea has been gaining bipartisan support in Washington, D.C. However, effective prevention programs can only occur when there is a comprehensive understanding of what needs exist within a particular community. 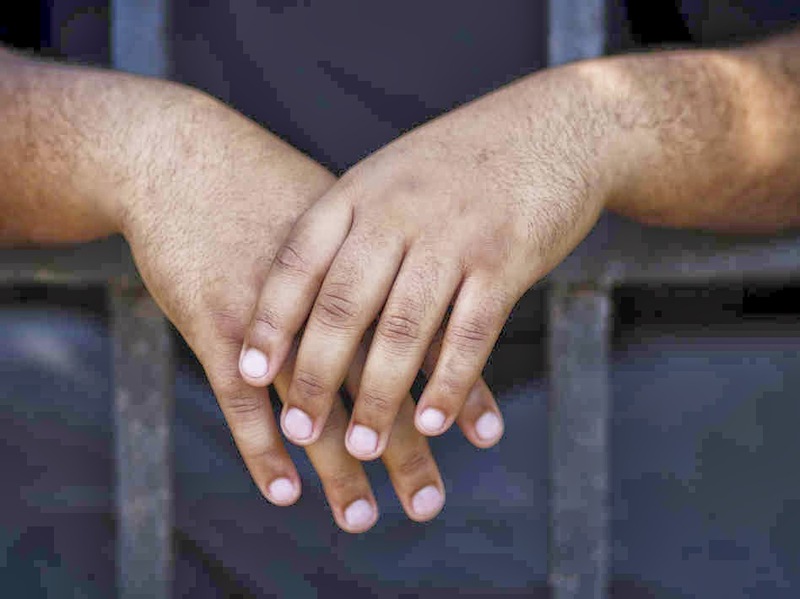 As long as the number of Latinos involved with the Virginia criminal justice system remains masked it will be extremely difficult to establish a service delivery model that can comprehensively and effectively assist the Latino community. The time has come to get smart on crime. Virginia is financially capable of taking the lead on this paradigm shift but is it willing to do so? Marlene - A concerned Fairfax County, Virginia resident. This blog is published in conjunction with the release of JPI's report, Billion Dollar Divide: Virignia's Corrections, Setencing and Criminal Justice Challenge.